Purcellville Roofer and Repair, and Roof Replacement. (703) 345-0601. Roofing issues in Purcellville, Loudoun County, VA should never go ignored, no matter how seemingly minor they might be. Ashburn Pro Roofing, a roofing contractor specializes in roofing repair and roof replacement great and small in Purcellville, Virginia. Don’t hesitate if your Purcellville roof is in need of someone to replace a few missing shingles or replace the entire roof. Our roofing company can help. Additionally, our certified and experienced roofing repair and replacement technicians are also available to replace your entire roof, gutters and downspouts. Our repair and replacement contractor company can be at your Purcellville, VA home within 24 hours. Call us at (703) 345-0601. Ashburn Pro Roofing repair company has learned the ins and outs of both commercial and residential roofs, so Purcellville, Loudoun County home and business owners alike are free to get in touch with us to give their roofs some professional TLC. You can reach us at (703) 345-0601 for repair services. As a Loudoun contractor serving Purcellville, we’ve had a chance to refine our repair craft as well as our reputation since we began operations. Our Loudoun County roof repair company also stresses the fact that we’re a certified and insured Virginia contractor, a fact that’s sure to give you peace of mind. We’ve probably worked on your neighbor’s roof in Purcellville, VA over the years. Does Your Purcellville, Loudoun County Home Roof Need Servicing? Roof shingles that are cracked, missing, loose or otherwise damaged. Missing flashing which commonly leads to water infiltrating your home or business if the issue persists long enough. The sudden appearance of granules in either your gutters or the grass around your downspouts. Water stains on your ceilings, the mysterious appearance of mildew or mold on your ceilings or in your attic area. 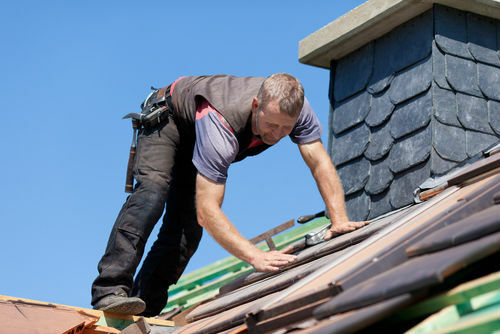 As a Loudoun County, Virginia business, we recommend that you contact our contractor company for repair if you even suspect that your roof might have problems. Additionally, we suggest that you get a head start on roofing problems by having your roof regularly maintained at least twice a year to see that there aren’t minor problems you won’t notice until they become major (and more expensive problems). Don’t let avoidable roofing issues lead to wasted money and efficiency. Ashburn Pro Roofing contractors is here when you need us, so never hesitate to reach out to us with your questions and roof repair needs. Most homeowners in Purcellville don't know much about their roofs until it is in need of repair. Read on to find helpful information and you can find out more. Safety should be a strong consideration with taking on your Purcellville, Loudoun County roof. You can be seriously injured by attempting to fix a leak during a storm. During a storm, put a bucket where there’s a leak and then look at the roof to determine whether or not you can fix the issue. Call some roofing contractors for repair estimates. Don't forget to include Ashburn Pro Roofing. You can reach us at (703) 345-0601. Consider the Purcellville and Virginia climate when considering a new roof. Clay roofs work great for dry climates and can help to keep the home cool. Clay roof tiles should not be used in a place where it rains all the time can deteriorate much quicker than other materials would. If you're not sure, you can always ask a roofing contractor in Loudoun County. If in doubt, contact some local contractors. Make sure that the roofing contractors you call in Loudoun, Fairfax, Prince William and Arlington have adequate liability insurance. The main thing that an insurance policy proves is that the contractor is very reliable. Secondly, if something were to get damaged while your Purcellville home’s roof was being worked on, their insurance will pay for any problems. Make sure the Loudoun County roofing contractor has credentials and valid certifications. Nearly every locale has license requirements. Do not neglect checking for current and valid Virginia and Loudoun County licenses from any contractors you are considering. Always check a Loudoun County roofing company's references. A reliable contractor operating in Purcellville, VA will have no problem giving you their references. If you find that the company doesn't want to give you any, it's probably best to just move on. Reluctance to provide references can be a red flag that means trouble ahead. Your Purcellville home's roof is a vital part of its structure, so it requires the same upkeep and attention as the rest of your home. Keep this information in mind and you can have a roof that keeps you safe. You should keep your roof well-maintained to avoid more problems in the future. If you need more help or have questions, call our roofing company at (703) 345-0601.